Introducing our Rincon Pathway Bollard. 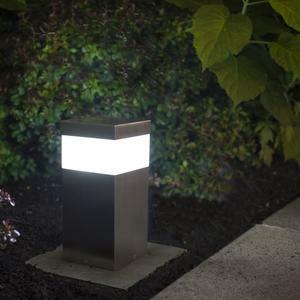 This mini counterpart to our Rincon line of outdoor lighting puts the focus on simplicity. Rincon Pathway Bollards feature stainless steel construction, a virtually seamless appearance, and a minimalist form that readily integrates into a wide range of settings. With a precise 4.5” square profile and an overall height of 9.5”, Rincon Pathway Bollards add visual impact without being obtrusive. The stainless steel body has a Satin finish, with optional powdercoat colors also available. The head consists of a white-frosted acrylic lens and a cast stainless steel cap that keeps the look clean. 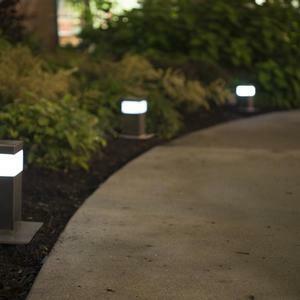 In terms of lighting performance, Rincon Pathway Bollards offer the advantage of Cree® LEDs in 3000K warm white and 4000K neutral white color temperature options. 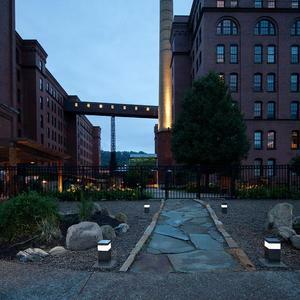 With its adaptable design, Rincon Pathway Bollards are a beautiful choice for spaces of all kinds. 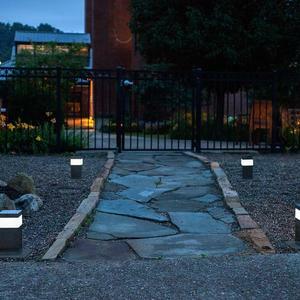 To learn more about Rincon Pathway Bollards and all of our outdoor lighting products visit our website or contact us for additional information.